NATIONAL Council member Melania Ndjago yesterday accused some women of using gender-based violence as a tactic to get back at men who want to leave them. Ndjago, Swapo's Karibib constituency councillor, made these claims during the justice ministry's N$304 million budget discussion in the National Council. 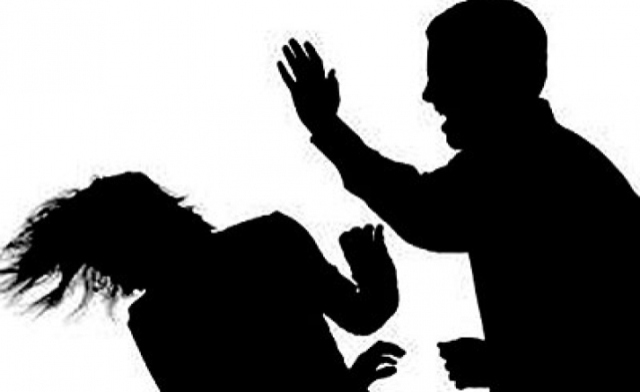 She claimed to have come across 10 instances of false accusations of GBV in her constituency, and yesterday asked for the Domestic Violence Act of 2003 to be reviewed and amended because she felt it gave too much power to women. She said women abused the law to keep their husbands in jail for long periods under the pretext of fearing for their safety if the man is released. "I have seen it. For instance, if the love is over and the man wants to walk out, the wife runs to the police and lays a false charge. Without investigating this case, the man is immediately taken into custody. "So, I want these cases to be thoroughly investigated," said Ndjago to loud applause from the house. Approached for comment yesterday, gender activist Rosa Namises expressed sadness at Ndjago's comments, saying it took a lot of courage for women to speak out against GBV in the first place. "It is really sad that a member of parliament has that misunderstanding that women will just stand up and abuse the law. Most women only speak out once they are fed up, and/or have endured silent battering, or after a real threat," she said. Namises, who is the director of Women's Solidarity Namibia, added that women endure shame, and for them to come out and talk about GBV should not be taken lightly. Gender minister Doreen Sioka yesterday said she could not comment on the issue as she was in a meeting. It is estimated that one in every three Namibian women is a victim of domestic violence, and one of the desired outcomes of the fifth National Development Plan (NDP5) is for women to be empowered and free of GBV by 2022. It also notes how systemic inequalities contribute to the high GBV rate. Ndjago furthermore expressed concern over bail amounts granted to stock theft suspects, saying a bigger amount might discourage them from stealing and slaughtering livestock. According to her, cases of stock theft have been increasing in her region, and it was disheartening to farmers who were working hard to raise their livestock. "The amount of bail given is very low, and should at least be close to the value of the animal stolen," she said. Ndjago added that she understood that the courts, when considering bail amounts, looked at suspects' ability to pay bail, but she felt the amount should be reviewed so that offenders would be discouraged from committing such crimes. Next: Swaziland:Is EU Money Paying for King's Lavish Lifestyle?